The Sweet Dreams Felix baby changing table and chest of 3 drawers has a traditional design in an antique colour finish which really enhances the pine wood grains. For safety the baby changing unit features a raised perimeter on all four sides whilst offering ample space for changing your child, and for storing some essential changing accessories. 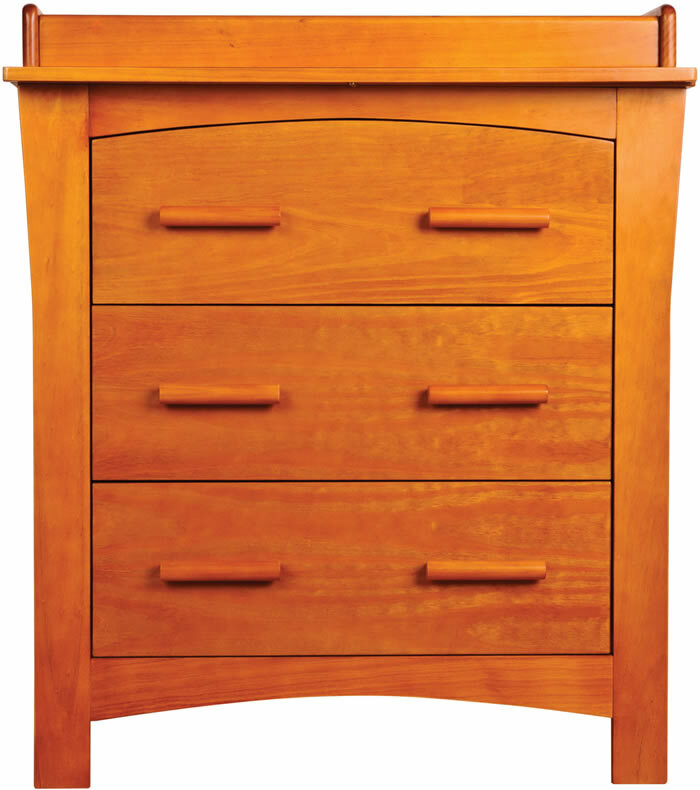 For storage the Felix chest of drawers offer three large drawers each with two wide matching wooden handles for easy opening.